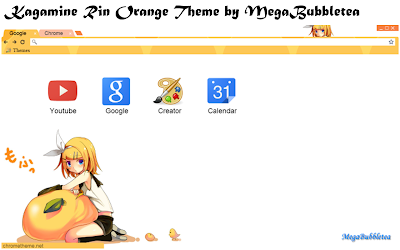 I finally had some free time to create another Chrome theme. This time it's Kagamine Rin and her orange (hence the name)! This is the first time doing a orange theme, so I hope you will like it!